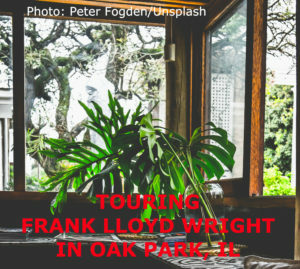 Frank Lloyd Wright, one of the world’s most renowned Twentieth Century architects, has deep roots in Oak Park, Illinois. Located just west of the Chicago loop, the town is home to more than two-dozen buildings and homes that Wright designed in his iconic Prairie Style. Curious to check them out? Plan a stay at Chicago’s City Scene Bed & Breakfast and then do like the locals–hop the train out to Oak Park. Frank Lloyd Wright began his illustrious career working for the Chicago firm of Sullivan & Adler. It was here he started exploring various elements that eventually led to the creation of the Prairie School movement. This distinctive design stressed low………. The Frank Lloyd Wright/Prairie School of Architecture Historic District in Oak Park contains the world’s largest collection of Wright-designed homes. To get the best overview of Wright’s heritage and influence, sign up for a guided two-hour Home and Studio Tour with the Frank Lloyd Wright Preservation Trust. Also available is a self-guided, audio walking tour that includes exteriors of homes designed by Wright and his studio. If you plan your trip for Saturday, May 19,2018, you can take part in the Wright Plus Architectural Housewalk. During this annual event, visitors can tour living spaces designed by Wright and his contemporaries, learn more about the history of the homes, and sign up for programs designed around the Housewalk. After touring Oak Park’s historic district, head back to the delightful Sheffield Historic District and City Scene B&B. Located on the garden level of a Victorian home, the B&B puts you in the heart of Lincoln Park, where you can walk to some of the city’s top restaurants, shops, museums, theaters, and parks. City Scene Bed & Breakfast is a member of the Illinois Bed and Breakfast Association and offer a unique lodging experience! 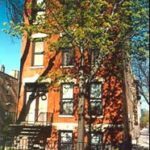 This entry was posted in Art and Music, Illinois Bed and Breakfasts, Illinois town of interest and tagged Chicago area attraction, Illinois Bed & Breakfasts by admin. Bookmark the permalink.